Narayanacharyulu Puttaparti was born on March 28, 1915 in a Vaikhanasa Brahmin family in Penugonda of Anantapuram district. His father Sreenivasacharyulu and mother Lakshmidevi were great Sanskrit-Andhra pundits. Narayanacharyulu studied Bhaaratam, Bhaagavatam, puraanas, kavyas and music at a very young age. He studied Sanskrit literature at Tirupati Sanskrit College. He learned grammar, meter, figures of speech etc. 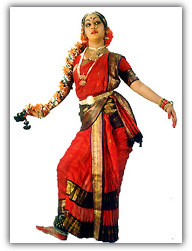 from great Sanskrit teachers like Krishnamacharyulu Kapailasthalam and Tatacharyulu D. T. He learned Bharatanatyam under the guidance of dancer Mahalakshmamma Ranjakam. He was only 12 years old, when he wrote "penugonda Lakshmi," padyakavyam (poetry). This kavyam was later selected as a text for Sanskrit "vidvan" course. It is interesting to note that he studied this text when he sat for the vidvan examination at the age of nineteen. He wrote "shaaji" and "saakshatkaaram" while he was still in the school. Narayanacharyulu was a polyglot and pundit in many languages. He was fluent in 14 languages, including French and Persian. In recognition of his scholarship and erudition, he was honored with title "Saraswatiputra (son of Goddess of Learning)" by Sivananda Saraswati in Hrishikesh. He translated Satyanarayana Viswanadha's Ekavira into Mlayalam when he was at Kerala University. He also translated several famous Tamil, Malyalam and Marathi books into Telugu language. He also wrote an original book in English, entitled "Leaves in the Wind." His Telugu "sivatandavam (Dance of Lord Siva)" was the most famous title of all his works. He was requested to recite "sivatandavam," at every literary meeting. His Telugu literary works include novels, dramas, kavyas (poems), literary criticism, historical etc. Kraantisandesam, anuraagam, aasha, smriti, oadaarpu, edabaatu, veedukoalu, etc. are his poems. His pandaribhagavatam won national literary award. He penned prabandhanayakulu, vijayanagara rajya sanghikacharitra (Telugu), tyagarajaswami suprabhatam, chennakesava suprabhatam, sivakarnamritam (Sanskrit), Bhagawan Buddha (translation from Marathi), Samaradeepam (translation from Malayalam) and many more essays and poems. The Indian Union Government honored him with "Padmasri" award. He was honored with titles and awards in many major cities in India, such as Hyderabad, Kolkatta, Chennai, Delhi etc. Sri Venkateswara and Sri Krishnadevaraya universities honored him with D. Litt. degrees. He served as a teacher at Ramakrishna High School at Kadapa and Government College at Anantapuram. 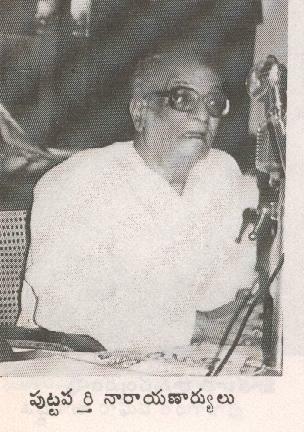 He died on September 1, 1990 after writing a commentary on Bhaagavatam. Vepachedu Educational Foundation, Inc Copyright Vepachedu Educational Foundation Inc., 2003. All rights reserved. All information is intended for your general knowledge only and is not a substitute for medical advice or treatment for special medical conditions or any specific health issues or starting a new fitness regimen. Please read disclaimer.